The Daughters of the American Revolution, or DAR, is a non-profit organization devoted to genealogy, historical preservation, education, and patriotism. Joining the DAR can take some work, but for many genealogists, gaining membership is a proud moment. 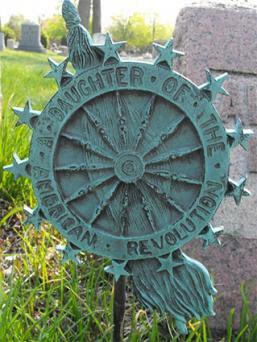 According to the official DAR History, the organization began in 1890 when women found themselves excluded from groups like the Sons of the American Revolution. Since 1890, more than 930,000 women have joined the organization. Today, current membership stands at about 177,000 people. Charity Navigator gives this non-profit organization an overall score of three out of four stars, citing limited financial transparency as a negative quality. It is funded by gifts, grants, and contributions and spends about 61% of its $16.2 million budget on providing services and programs. One of the key values of the Daughters of the American Revolution is patriotism, often expressed in the form of volunteer work. Members of the DAR support veterans groups and active duty members of the armed services. It's important to note that the DAR considers itself to be "non-political." They do not support or endorse political parties or candidates, and they do not deny membership based on politics. 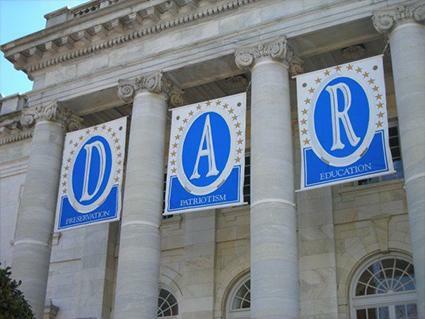 Education is another primary goal of the DAR. Members donate more than one million dollars annually to support school-aged children in need, and the organization awards college scholarships and other forms of financial aid. The DAR also values historical preservation. Members donate time and money to support restoration projects, mark the graves of patriots from the Revolutionary War, and help organize events commemorating the American Revolution. The DAR National Headquarters in Washington, DC also houses a museum with collections of art and documents. An important part of historical preservation is the DAR's focus on genealogy. Since proving that you are a direct descendent of a Revolutionary War patriot is one of the main requirements for membership, the society works to make genealogy accessible to everyone. They have archives that are open to the public, and they offer a complete Genealogical Research System to help individual research family history and gather documentation for the membership process. You don't have to pursue membership to use the DAR's free genealogy resources. She must be at least 18 years old. She must document descent from a Revolutionary War patriot. The cost of joining varies depending on the chapter, but it is usually about $125 according to Karen Miller Bennet of the Lima Chapter of the DAR. To prove your lineage from the patriot you identified, you'll need to fill out a pedigree chart. You can use a free printable pedigree chart to help you organize your work. Make sure you have documentation to support every generational link that you can. If you need help, the DAR will assist you. You can find a DAR chapter in your area and get in contact with that branch. They will help you through the membership process. Alternatively, you can submit a Membership Interest Form and request that someone from the local chapter contact you about joining. In addition to preserving historical documents and records, the DAR helps individuals research their family history through its website and National Headquarters. Whether or not you are interested in joining, you can use these resources to learn more about your ancestors and their involvement in the Revolutionary War.